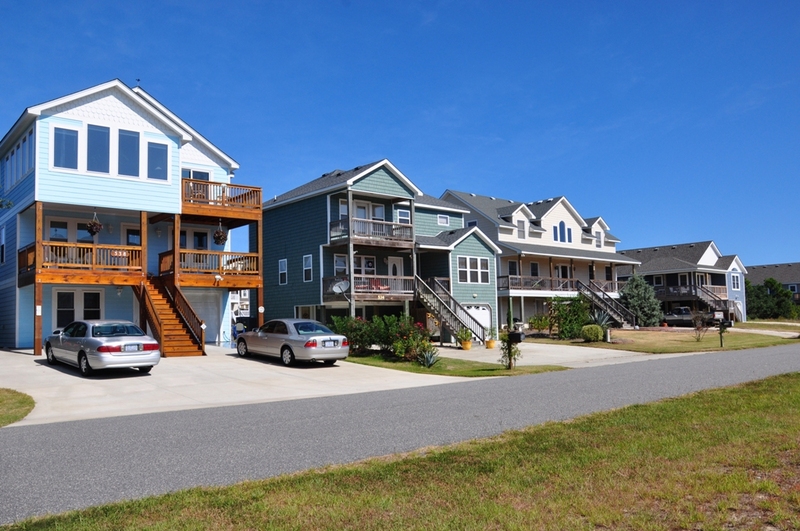 Kill Devil Hills, NC is a more heavily populated community on the Outer Banks with year-round residents currently totaling nearly 7,000 people. What makes Kill Devil Hills attractive to both its full-time locals, as well as inhabitants just visiting during vacation season is that its centralized location of the Northern Beaches provides easy and quick access to numerous other Outer Banks communities in either direction. Kitty Hawk, Southern Shores, and Duck, NC are all just a straight shot north of Kill Devil Hills, while Nags Head and Roanoke Island are an even shorter distance south. Because of its larger size, Kill Devil Hills real estate for sale can be quite extensive. Today’s home buyers won’t be hard-pressed to find quaint bungalow-style single-family homes for sale, large-scale condominium buildings with very desirable in-building amenities, spacious multi-family homes that make for the perfect investment property, or even some high-end single-family homes that sit directly on the Atlantic Ocean. Depending on your preference, Kill Devil Hills real estate can also be very reasonably priced in comparison to numerous other Outer Banks communities in North Carolina, which can absolutely be the determining factor in why so many Outer Banks buyers ultimately decide to purchase here and not other locations nearby. In addition, more and more families are starting to call Kill Devil Hills home because of its comprehensive school system, which now offers a facility at every level. First Flight Elementary School and First Flight Middle School are located in Kill Devil Hills, while First Flight High School is also now located within the township, which was just recently established back in 2004. No matter if you’re a year-round local or second home owner, you won’t be disappointed by what you find in the awesome community of Kill Devil Hills, .